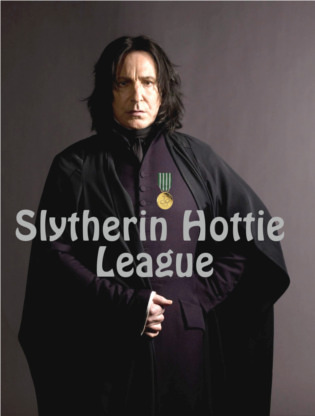 Welcome to Spring term and another season of the Slytherin Hottie League! Now the rules are going to stay the same, but some of the competitors may not! Let's run down the rules. Each hottie will compete in matches throughout the term. The winning hottie will get 3 points, the loser, nothing. If the match ends in a tie each hottie will receive 1 point. The hotties with the most points at the end of the regular season will go on to the playoffs which will take place during the last 2 weeks of the term. so let's get him some hotties to keep in line! Nominations will stay open until Wednesday May 8th at 23:59POT.